I am a Senior Research Scientist at Boston University's Center for Space Physics studying planetary atmospheres and their interactions with the space environment. Planetary upper atmospheres, which contain both a charged (the ionosphere) and neutral (the thermosphere) component, are important transition regions between the dense meteorological atmosphere below and the vacuum of space above. They mediate the exchange of particles, energy, and momentum between these two environments and also host Low Earth Orbit (LEO) satellites. The study of planetary upper atmospheres helps us to understand the evolution of atmospheres, aiding in determination of planetary habitibility, as well as to adapt and protect the technologies that society is becoming more dependent on, such as satellite communications and positioning. Giant planet ionospheres are dominated by a unique ion, H3+, which radiates strongly in the near-IR. This makes it an efficient probe of the properties of giant planet upper atmospheres, as it can easily be observed from ground-based telescopes at Jupiter, Saturn, and Uranus (but not yet Neptune!). Recently, colleagues and I mapped the temperatures in Jupiter's upper atmosphere using NASA's InfraRed Facility (IRTF), a 3m telescope on Mauna Kea in Hawaii. 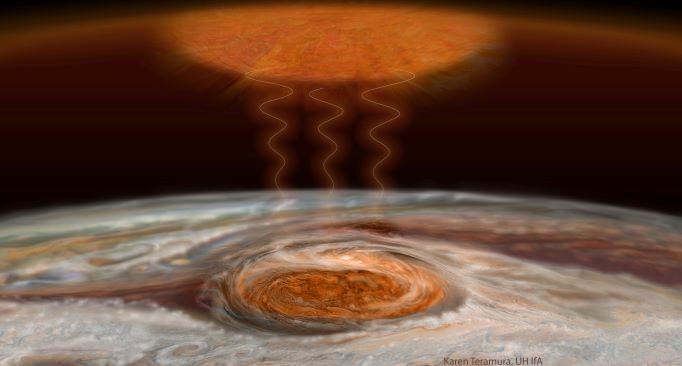 We found that the hottest part of Jupiter's upper atmosphere was directly above its iconic Great Red Spot! This unexpected result may hold clues for solving the so-called "energy crisis" in giant planet upper atmospheres, and generated a suprising amount of news coverage, including radio and TV interviews. Combining >13,000 narrow-band H3+ images taken more than 20 years ago, we recently found that there is a "dark ribbon" of H3+ that identifies Jupiter's magnetic equator. This study was led by Tom Stallard at the University of Leicester, and was also a popular news item. Much of our current Jupiter work is focused on providing ground-based support for the Juno spacecraft. While Juno was just arriving at Jupiter in 2016 we used the 10m Keck II telescope to monitor the response of its IR aurorae to variations in the solar wind. Saturn's rings are draining away to the planet as a dusty rain of ice particles under the influence of Saturn’s magnetic field and gravity. This mass transfer process, first hinted at by Voyager observations in the 1980s, transforms the chemistry of Saturn's upper atmosphere, producing bright and dark bands of ionospheric H3+ at latitudes that are connected magnetically to specific regions in the rings. Using observations from the 10m Keck II telescope, combined with model simulations, we monitor the mass loss from Saturn's rings and the effect in Saturn's upper atmosphere. Our most recent study finds that Saturn's rings are losing mass so rapidly they will disappear within ~100 million years, meaning that we may be lucky to observe the beauty of this cosmically short-lived phenomenon. 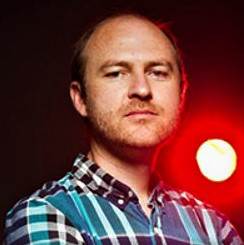 This study, led by James O'Donoghue, has also been covered by >100 news outlets so far. 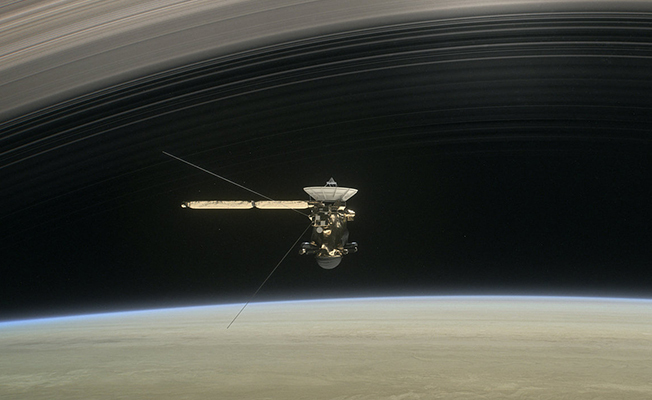 In 2017, following an incredibly successful 13 years in orbit at Saturn, the Cassini spacecraft executed 23 orbits between Saturn's rings and its atmosphere before finally plunging dramatically to its death. These unique orbits allowed for the first in situ measurements of Saturn's upper atmosphere. One of the most dramatic suprises was that Saturn's rings also transfer a tremendous amount of mass to Saturn's equatorial atmosphere, primiarly in the form of sub-micron grains and gas. As a Cassini Participating Scientist, I analyzed the impact of this material influx on Saturn's ionosphere, finding that chemistry becomes significanly more complicated and leads to a number of unexpected heavy molecular ion species. 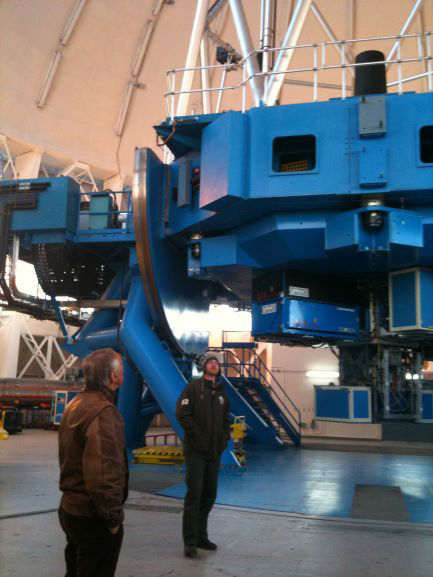 Along with Boston University colleagues Jeff Baumgardner (instrument lead) and Carl Schmidt (science lead) I have begun commissioning a unique new planetary instrument. RIPS is designed to conduct "lucky imaging" observations of extended objects, such as Mercury's extended exosphere or the torus of neutral and charged material in Jupiter's magnetosphere, originating ultimately from Io's volcanism. By taking video rate data and then only using the few crisp images that are unaffected by atmospheric seeing, RIPS can obtain high-quality simultaneous spectra and images. 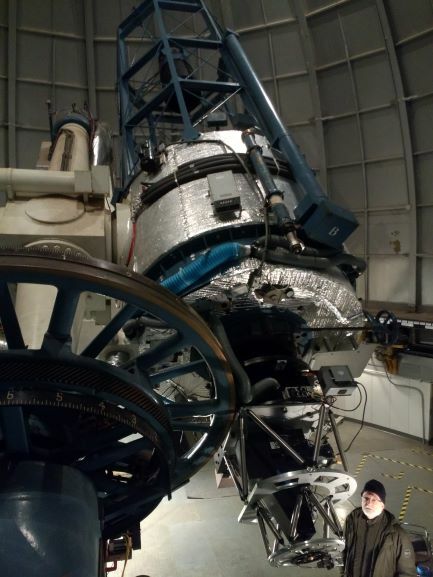 In March 2017, we installed RIPS at the Perkins telescope in Flagstaff, Arizona and obtained first-light observations. Weather was poor, but when we finally had an opening in the clouds RIPS performed exactly as hoped, allowing us to map the spectral behavior of Mercury's exosphere across its disk. More RIPS pics and videos here. RIPS was installed at AEOS in July 2017. As AEOS is an adaptive-optics telescope it can help to compensate for distortion of Mercury's light, given that nighttime observations are only possible through the long atmospheric path to Mercury after sunset (or before sunrise). We obtained a diverse set of RIPS observations at AEOS, including the exospheres of Mercury, the Moon, and Jupiter's moons, Io and Europa. This movie demonstrates the capability of RIPS to map the morphology of Mercury's Na atmosphere above its disk in only a few hundred seconds using spectral slit scans. Cravens, T.E., A. Renzaglia, L. Moore, J.H. Waite, Jr., R. Perryman, M. Perry, J.-E. Wahlund, A. Persoon, L. Hadid, M. Morooka, "Plasma transport in Saturn’s low-latitude ionosphere: Cassini Data", Geophys. Res. Lett., under revision, 2019. Müller-Wodarg, I.C.F., T.T. Koskinen, L. Moore, J. Serigano, R.V. Yelle, S. Hörst, J.H. Waite, and M. Mendillo "Atmospheric waves and their possible effect on the thermal structure of Saturn's thermosphere", Geophys. Res. Lett., doi:10.1029/2018GL081124, 2019. Moore, L., H. Melin, J. O'Donoghue, T. Stallard, J. Moses, M. Galand, S. Miller, and C. Schmidt "Modelling H3+ in planetary atmospheres: effects of vertical gradients on observed quantities", Phil. Trans. A, accepted, 2019. Moore, L., M. Galand, A. Kliore, A. Nagy, J. O‘Donoghue. "Saturn's Ionosphere" In: Saturn in the 21st Century , K.H. Baines, F.M. Flasar, N. Krupp, T.S. Stallard (eds. ), Cambridge: Cambridge University Press, doi:10.1017/9781316227220.008 (arxiv link), 2018. O’Donoghue, J., L. Moore, J. Connerney, H. Melin, T. Stallard, S. Miller, and K.H. Baines, "Observations of the chemical and thermal response of ‘ring rain’ on Saturn’s ionosphere", Icarus, doi:10.1016/j.icarus.2018.10.027, 2018. Hsu, H.-W., J. Schmidt, S. Kempf, F. Postberg, G. Moragas-Klostermeyer, M. Seiß, H. Hoffman, M. Burton, S.Y. Ye, W.S. Kurth, M. Horanyi, N. Khawaja, F. Spahn, D. Schirdewahn, J. O’Donoghue, L. Moore, J. Cuzzi, G.H. Jones, and R. Srama, "Cosmic Dust Analyzer aboard Cassini collects material from Saturn’s main rings", Science, doi:10.1126/science.aat3185, 2018. Waite, J.H. Jr., R. Perryman, M. Perry, K. Miller, J. Bell, T.E. Cravens, C.R. Glein, J. Grimes, T. Brockwell, B. Teolis, L. Moore, and 15 additional co-authors, "INMS Observations of chemical interactions between Saturn’s atmosphere and rings", Science, doi:10.1126/science.aat2382, 2018. Moore, L., M. T.E. Cravens, J.H. Waite, R. Perryman, M. Perry, and 12 additional co-authors, "Models of Saturn’s equatorial ionosphere based on in situ data from Cassini’s Grand Finale", Geophys. Res. Letts., doi:10.1029/2018GL078162, 2018. Hadid, L.Z., M.W. Morooka, J.-E. Wahlund, L. Moore, T.E. Cravens, M.M. Hedman, N.J.T. Edberg, E. Vigren, W.S. Kurth, W.M. Farrell, A.I. 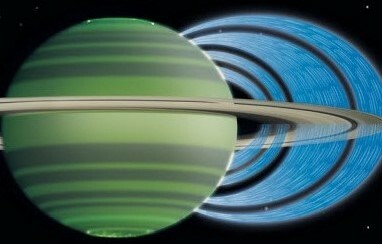 Eriksson, "Ring shadowing effects on Saturn’s ionosphere: implications for ring opacity and plasma transport", Geophys. Res. Lett., doi:10.1029/2018GL079150, 2018. Perry, M.E., J.H. Waite, Jr., D.G. Mitchell, K.E. Miller, T.E. Cravens, R.S. Perryman, L. Moore, R.V. Yelle, H.-W. Hsu, J.N. Cuzzi, D.F. Strobel, O.Q. Hamil, J.M. Bell, L.J. Paxton, B.D. Teolis, and R.L. McNutt, Jr., "Material flux from the rings of Saturn into its atmosphere", Geophys. Res. Lett., doi:10.1029/2018GL078575, 2018. Withers, P., M. Felici, M. Mendillo, L. Moore, C. Narvaez, M.F. Vogt, and B.M. Jakosky, "First ionospheric results from the MAVEN Radio Occultation Science Experiment (ROSE)", Geophys. Res. Lett., doi:10.1029/2018JA025182, 2018. Cravens, T.E., L. Moore, J.H. Waite, R. Perryman, M. Perry, and 15 additional co-authors, "The ion composition of Saturn’s equatorial ionosphere as observed by Cassini", Geophys. Res. Lett., doi:10.1029/2018GL077868, 2018. Stallard, T.S., A.G. Burrell, H. Melin, L. Fletcher, S. Miller, L. Moore, J. O’Donoghue, J.E.P. Connerney, T. Satoh, and R.E. Johnson, "Identification of Jupiter’s magnetic equator through ionospheric emission", Nature Astrophysics, doi:10.1038/s41550-018-0523-z, 2018. Moore, L., J. O’Donoghue, H. Melin, T. Stallard, C. Tao, B. Zieger, J. Clarke, M.F. Vogt, T. Bhakyapaibul, M. Opher, G. Toth, J.E.P. Connerney, S. Levin, and S. Bolton, "Variability of Jupiter’s IR H3+ aurorae during Juno approach", Geophys. Res. Lett., doi:10.1002/2017GL073156, 2017. Stallard, T.S., H. Melin, S. Miller, L. Moore, J. O’Donoghue, J.E.P. Connerney, T. Satoh, R.A. West, J.P. Thayer, V.W. Hsu, and R.E. Johnson, "The Great Cold Spot in Jupiter’s upper atmosphere", Geophysical Research Letters, doi:10.1002/2016GL071956, 2017. Melin, H., L.N. Fletcher, T.S. Stallard, R.E. Johnson, J. O’Donoghue, L. Moore, and P.T. Donnelly, "The quest for H3+ at Neptune: deep burn observations with NASA IRTF iSHELL", Monthly Notices of the Royal Astronomical Society, doi:10.1093/mnras/stx3029, 2017. Mendillo, M., J. Trovato, L. Moore, and I. Müller-Wodarg, "Comparative Ionospheres: Terrestrial and Giant Planets", Icarus, doi:10.1016/j.icarus.2017.12.033, 2017. O’Donoghue, J., L. Moore, H. Melin, T. Stallard, J. Connerney, S. Miller, and K. Baines, "Re-detection of the ionospheric H3+ signature of Saturn's 'ring rain'", Geophysical Research Letters, doi:10.1002/2017GL075932, 2017. O’Donoghue, J., L. Moore, H. Melin, T.S. 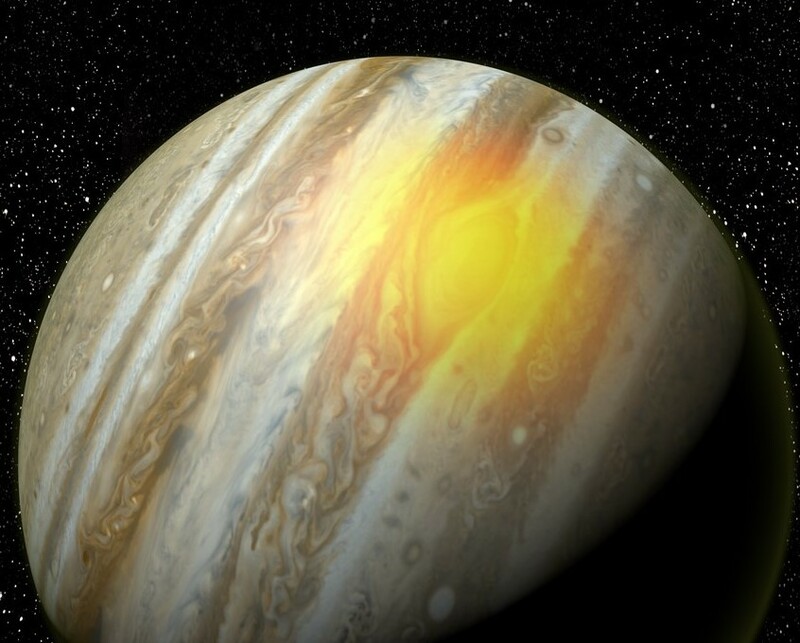 Stallard, "Heating of Jupiter’s upper atmosphere above the Great Red Spot", Nature, doi:10.1038/nature18940, 2016. Mendillo, M., J. Trovato, C. Narvaez, M. Mayyasi, L. Moore, M.F. Vogt, K. Fallows, P. Withers, and C. Martinis, "Comparative aeronomy: Molecular ionospheres at Earth and Mars", Journal of Geophysical Research: Space Physics, doi:10.1002/2016JA023097, 2016. Moore, L., T. Stallard, and M. Galand. "Upper atmospheres of the giant planets" In: Heliophysics: Active stars, their astrospheres, and impacts on planetary environments , C.J. Schrijver, F. Bagenal, and J.J. Sojka (eds. ), Cambridge: Cambridge University Press, ISBN: 9781107090477, 2016. O’Donoghue, J., H. Melin, T.S. Stallard, G. Provan, L. Moore, S.V. Badman, S.W.H. Cowley, K.H. Baines, S. Miller, and J.S.D. Blake, "Ground-based observations of Saturn’s auroral ionosphere over three days: trends in H3+ temperature, density and emission with Saturn local time and planetary period oscillation", Icarus, 263, doi:10.1016/j.icarus.2015.04.018, 2016. Moore, L., J. O’Donoghue, I. Müller-Wodarg, M. Galand, and M. Mendillo, "Saturn ring rain: Model estimates of water influx into Saturn’s atmosphere", Icarus, 245, 356-366, doi:10.1016/j.icarus.2014.08.041, 2015. O’Donoghue, J., T.S. Stallard, H. Melin, S.W.H. Cowley, S.V. Badman, L. Moore, S. Miller, C. Tao, K.H. Baines, and J.S.D. Blake, "Conjugate observations of Saturn’s northern and southern H3+ aurorae", Icarus, 229, 214-220, doi:10.1016/j.icarus.2013.11.009, 2014. Matta, M., M. Galand, L. Moore, M. Mendillo, and P. Withers, "Numerical simulations of ion and electron temperatures in the ionosphere of Mars: Multiple ions and diurnal variations", Icarus, 227, 78-88, doi:10.1016/j.icarus.2013.09.006, 2014. Withers, P., L. Moore, K. Cahoy, and I. Beerer, "How to process radio occultation data: 1. From time series of frequency residuals to vertical profiles of atmospheric and ionospheric properties", Planet. Space Sci., 101, 77-88, doi:10.1016/j.pss.2014.06.011, 2014. 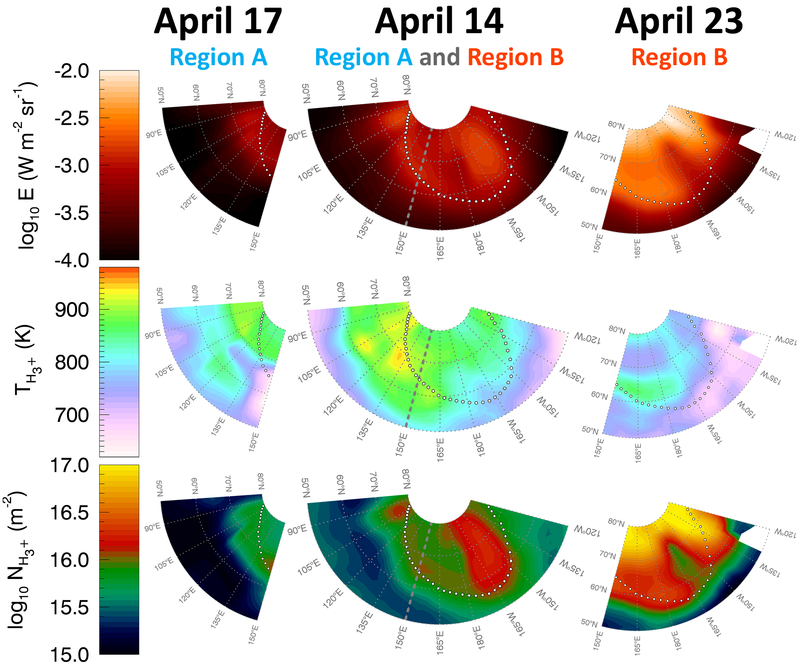 Müller-Wodarg, I.C.F., L. Moore, M. Galand, S. Miller, and M. Mendillo, "Magnetosphere-atmosphere coupling at Saturn: 1 – Response of thermosphere and ionosphere to steady state polar forcing", Icarus, 221, 481-494, doi:10.1016/j.icarus.2012.08.034, 2012. Ray, L.C., M. Galand, L. Moore, and B. Fleshman, "Characterizing the limitations to magnetosphere-ionosphere coupling in Saturn’s middle magnetosphere", J. Geophys. Res., doi:10.1029/2012JA017735, 2012. Moore, L., G. Fischer, I. Müller-Wodarg, M. Galand, and M. Mendillo, "Diurnal variation of electron density in Saturn’s ionosphere: Model comparisons with SEDs", Icarus, 221, 508-516, doi:10.1016/j.icarus.2012.08.010, 2012. Galand, M., L. Moore, I. Müller-Wodarg, M. Mendillo, and S. Miller, "Response of Saturn’s auroral ionosphere to electron precipitation: electron density, electron temperature, and electrical conductivity", J. Geophys. Res., doi:10.1029/2010JA016412, 2011. Fischer, G., D.A. Gurnett, P. Zarka, L. Moore, and U.A. Dyudina, "Peak electron densities in Saturn’s ionosphere derived from the low-frequency cutoff in Saturn lightning", J. Geophys. Res., 116, A04315, doi:10.1029/2010JA016187, 2011. Moore, L., I. Müller-Wodarg, M. Galand, A. Kliore, and M. Mendillo, "Latitudinal variations in Saturn’s ionosphere: Cassini measurements and model comparisons", Icarus, 245, 356-366, doi:10.1029/2010JA015692, 2010. Moore, L., M. Galand, I. Müller-Wodarg, and M. Mendillo, "Response of Saturn’s ionosphere to solar radiation: Testing parameterizations for thermal electron heating and secondary ionization processes", Planetary and Space Science, 57, 14-15, 1699-1705, doi:10.1016/j.pss.2009.05.001, 2009. Nagy, A.F., A.J. Kliore, M. Mendillo, S. Miller, L. Moore, J.I. Moses, I. Müller-Wodarg, and D. Shemansky, "Upper atmosphere and ionosphere of Saturn." In: Saturn from Cassini-Huygens, M.K. Dougherty, L.W. Esposito, S.M. Krimigis (eds.). New York: Springer. 181-202, ISBN: 978-1-4020-9217-6, 2009. Galand, M., L. Moore, B. Charnay, I. Müller-Wodarg, and M. Mendillo, "Solar primary and secondary ionization at Saturn", J. Geophys. Res., 114, A6, A06310, doi:10.1029/2008JA013981, 2009. Moore, L., M. Galand, I. Müller-Wodarg, R. Yelle, and M. Mendillo, "Plasma temperatures in Saturn’s ionosphere", J. Geophys. Res., 113, A10306, doi:10.1029/2008JA013373, 2008. Smith, C., A. Aylward, G. Millward, S. Miller, and L. Moore, "An unexpected cooling effect in Saturn’s upper atmosphere", Nature, 445, 399-401, doi:10.1038/nature05518, 2007. Moore, L., and M. Mendillo, "Are depletions in Saturn’s ionosphere caused by explosive surges of water from Enceladus? ", Geophys. Res. Lett., 34, L12202, doi:10.1029/2007GL029381, 2007. Moore, L., A.F. Nagy, A.J. Kliore, I. Müller-Wodarg, J.D. Richardson, and M. Mendillo, "Cassini radio occultations of Saturn’s ionosphere: Model comparisons using a constant water flux", J. Geophys. Res., 111, A06307, doi:10.1029/2006GL027375, 2006. Moore, L., M. Mendillo, C. Marinis, and S. Bailey, "Day-to-day variability of the E-layer", Geophys. Res. Lett., 33, L22202, doi:10.1029/2005JA011448, 2006. Moore, L., and M. Mendillo, "Ionospheric contribution to Saturn's inner plasmasphere", J. Geophys. Res., 110, A05310, doi:10.1029/2004JA010889, 2005. Mendillo, M., L. Moore, J. Clarke, I. Müller-Wodarg, W.S. Kurth and M.L. Kaiser, "Effects of ring shadowing on the detection of electrostatic discharges at Saturn", Geophys. Res. Lett., 32, L05107, doi:10.1029/2004GL021934, 2005. Moore, L., M. Mendillo, I.C.F. Müller-Wodarg and D.L. Murr, "Modeling of global variations and ring shadowing in Saturn’s ionosphere ", Icarus, 172, 503-520, doi:10.1029/2004JA010889, 2004.